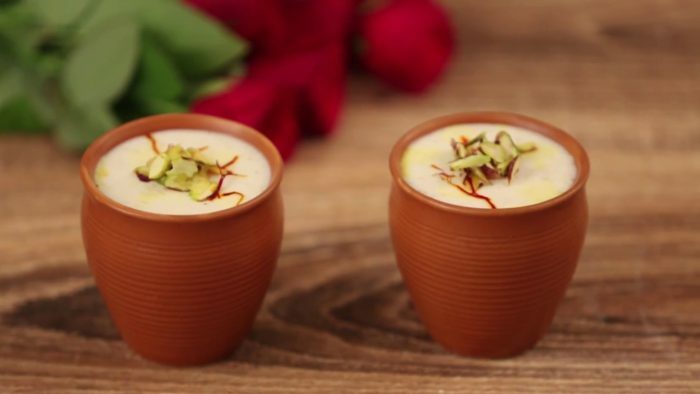 Mishti Doi, or Mithi Dahi, or sweet yogurt, is possibly the most popular and beloved sweet dish in Bengal, and arguably the state’s second most important culinary export after the rasgulla. Fans of this iconic Bengali dessert—set yogurt sweetened with caramelized sugar or jaggery—are found all over the subcontinent, including Bangladesh, and even further afield. In the Vedas, curd or yogurt is described as the food of the gods, which may explain why it is an essential part of religious rituals. Although the misti doi recipe requires only three ingredients, and the process is fairly simple and hassle-free, you need patience to make this scrumptious sweet – it has a waiting time of around 12 hours for the yogurt to set. The yogurt is traditionally set and fermented in an earthen, terracotta, or clay pot, which is said to absorb excessive moisture, giving Mishti Doi its typical dense, thick but soft and creamy texture. The pot is kept in a warm and dry place (kitchen cupboard, microwave oven) and at times swathed in cloth to ensure that the yogurt sets properly. 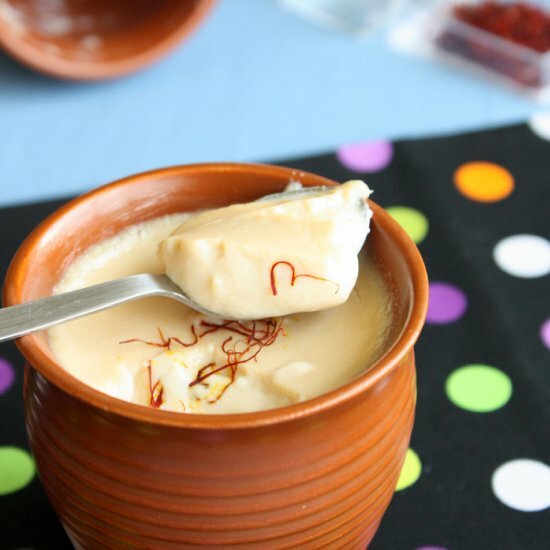 Mishti Doi can be prepared a day in advance and stays quite well in the refrigerator for a few days. Add a pinch of ground cardamom or saffron for a delicate fragrance and flavor. For extra crunch, garnish with a handful of chopped almonds or pistachios, and a bit of grated jaggery (gur, unrefined sugar) or a dash of molasses. Heat the milk in a heavy based pan and reduce it to 1/4th its quantity. Heat the jaggery in a heavy saucepan and melt it down using 10 ml of water. Add the jaggery to the boiling milk and stir well. Cook for another 5 minutes and cool down to about 40 degree C.
Stir in the curd. Do make sure that the milk is not too hot when the curd is added. Pour in the mixture into a terracotta or clay pot and keep in a warm place to set. Serve chilled.